While visiting Prato I stopped to have lunch at Osteria La Farnacia dei Sani. The rustic walls of this tavern, which is also an enoteca (wine shop), are lined with bottles of regional wine. The patrons dine faccia a faccia (face to face) at long wooden tables seated on rock-hard benches. There is no menu; the waiters just rattle off the kitchen's offerings like drill sergeants. My choice, zuppa di verza, patate e fagioli (cabbage soup with potatoes and beans), was served in deep bowls accompanied by hunks of Tuscan bread and a flask of extra-virgin olive oil for drizzling on the soup. One of my favorite techniques for flavoring this soup is to crumble chicken bouillon cubes over the sautéing vegetables instead of dissolving the cubes in liquid first. I also like to add the cheese rinds from Parmigiano-Reggiano cheese. Start the process the night before by soaking the beans in water. The recipe makes a lot and the soup can be frozen for future use. The night before making the soup, soak the beans in 2 cups of water. The following day, drain and rinse the beans, put them in a pot and cover them with 3 cups of water. Cook the beans for 20 minutes, then drain them and set them aside. In a soup pot, heat the olive oil, stir in the crumbled bouillon cubes, cabbage, carrot, and onion. Cover the pot and cook the vegetables over medium heat for 20 minutes. Uncover the pot, stir in the beans, potatoes, water, and cheese rinds (if using), and cook, covered, over low heat for 45 minutes, or until the beans are tender, hold their shape, and are not mushy. Stir in the parsley, salt, and black pepper. Remove the cheese rinds with a spoon and with a small knife scrape off the cheese and return it to the pot. Discard the rinds. Serve the soup hot in soup bowls with a drizzle of olive oil over the top. Variation: Place toasted slices of Italian bread in the base of individual soup bowls and ladle the soup over the bread. Did you know that one of the best things to buy in Italian grocery stores are bouillon cubes? They are made by Knorr but are much larger than the bouillon cubes available here, and they have a more concentrated flavor. I always make a habit of buying a few boxes to bring home. 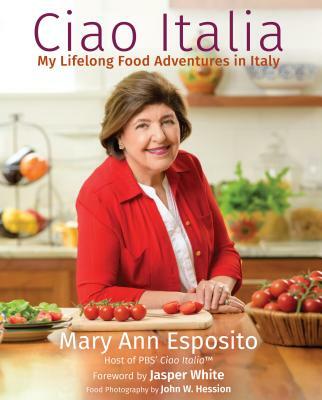 This recipe is from CIAO ITALIA - BRINGING ITALY HOME by Mary Ann Esposito, published by St. Martin's Press in 2001.